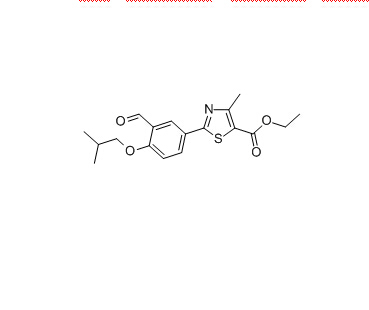 Ethyl 2-(3-formyl-4-isobutoxyphenyl)-4-methylthiazole-5-carboxylate CAS 161798-03-4 is an important intermediate for Febuxostat. Febuxostat is a kind of inhibits xanthine oxidase drug, which can reduce production of uric acid in the body and widely used in treatment of chronic gout and hyperuricemia. Processed Febuxostat Intermediates CAS NO 161798-03-4 use well-test ingredients and strictly controlled by our rich experience experts to ensure its secure and high purity. Loxapine is a dopamine antagonist, and also a serotonin 5-HT2 blocker. The exact mode of action of Loxapine has not been established, however changes in the level of excitability of subcortical inhibitory areas have been observed in several animal species in association with such manifestations of tranquilization as calming effects and suppression of aggressive behavior. Looking for ideal 161798-03-4 Manufacturer & supplier ? We have a wide selection at great prices to help you get creative. All the CAS 161798-03-4 are quality guaranteed. We are China Origin Factory of CAS NO 161798-03-4. If you have any question, please feel free to contact us.